A large single-player unit, set a few months before the infamous and ill-fated Terran offensive against Stroggos. Carry out a perilous solo mission to destroy the Power Core that protects a vital facility! A medium-sized gothic map suitable for up to about 8 players in a lovely FFA carnage-fest, or as a 4v4 team-DM level. Heavily influenced by Q3A, and aimed at OpenGL users. 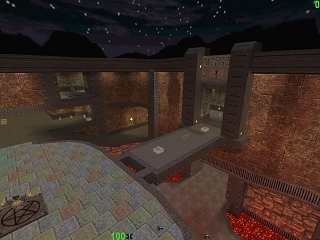 A fast 1v1 tournament deathmatch level combining long fire-corridors with frantic close-quarters combat. Plays very well with Gladiator bots. A medium-sized deathmatch map for 3 - 8 players. 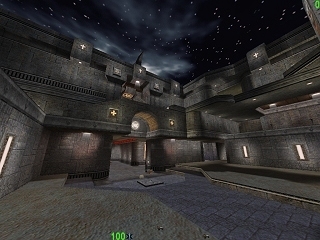 A stone-and-metal themed level, with classic Quake and gothic Quake 3:Arena influences, set under a night sky. A separate teamplay version is also available to download. 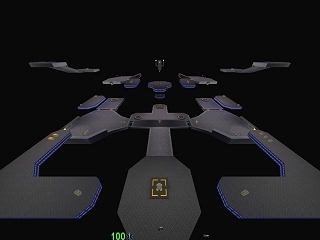 A small space/void deathmatch level for 2 - 4 players, with a very vertical layout. Ideal for slower-paced, cat-and-mouse style 1v1 matches. 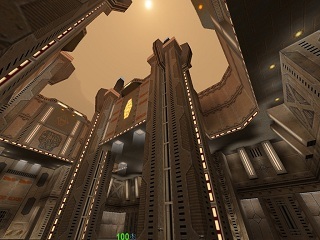 A small deathmatch level for 2 - 5 players. 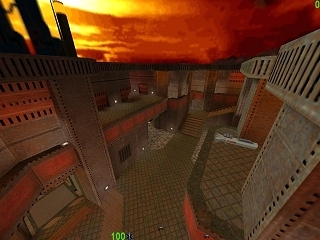 This map was inspired by Quake3:Arena's The Longest Yard and Unreal Tournament's DM-Morpheus. 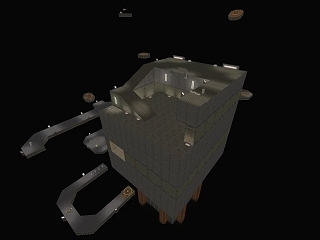 A small deathmatch map designed for 1v1 matches, although you could squeeze up to about 5 players into it. 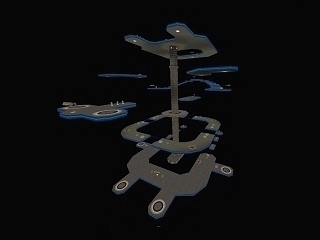 A multi-tiered space/void level, with few places to hide.